Who Relies on Third Party Testing When Considering Their AV Solution? 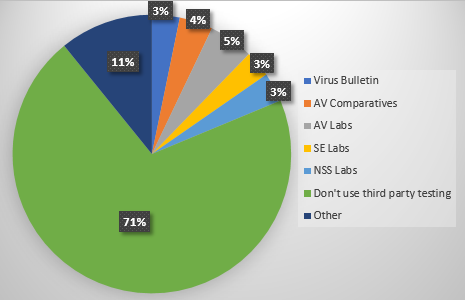 As you can see, according to the survey, 71% of respondents reported they do not rely on third party testing when considering an AV solution. Although, that percentage is actually higher. When looking through the “Other” responses, none of them were a testing authority. Therefore, it is safe to say, 82% of respondents do not rely on third party testing. Testing authorities provide insight to AV solutions that typical reviews do not, including malware detection rates. 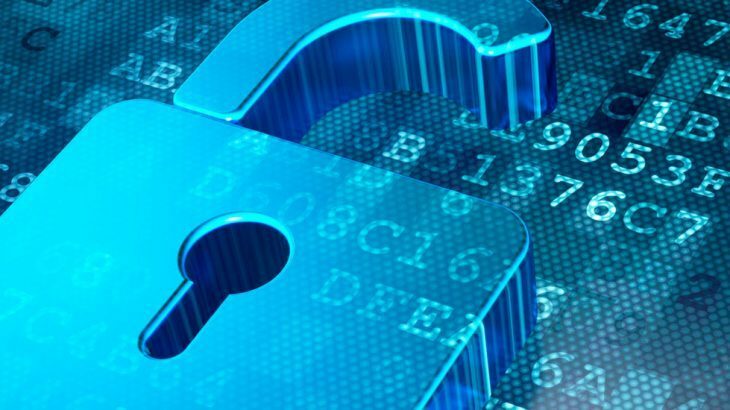 It is impossible to say consumers are purchasing a security solution based on detection rates if they are not acknowledging third party test results. What could possibly be more important than detection rates? Nothing. You’re buying a security solution to protect your data. The effectiveness of that security solution is tested by these authorities, and malware detection rates are publicized. So my question to you is, why? Why aren’t consumers using third party testing authority reviews and detection rates prior to investing in a security solution? Why do users not seem to care what the malware detection rates are of the security solution they are trusting to keep their information secure? TechTalk Slider, tips detection rates, third party testing. permalink. Please notify me of future updates.